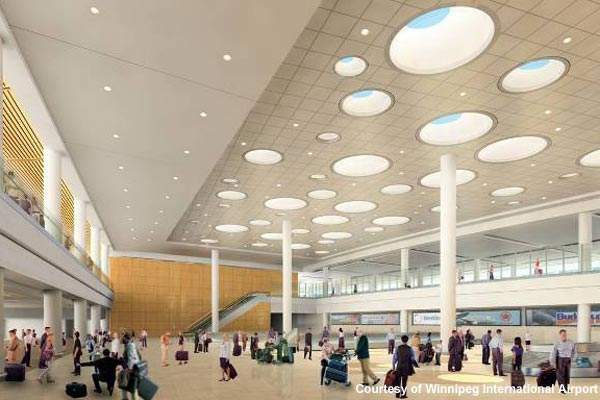 The new terminal building design will incorporate LEED principles at Winnipeg Airport. Light and space are important in the new Winnipeg design. 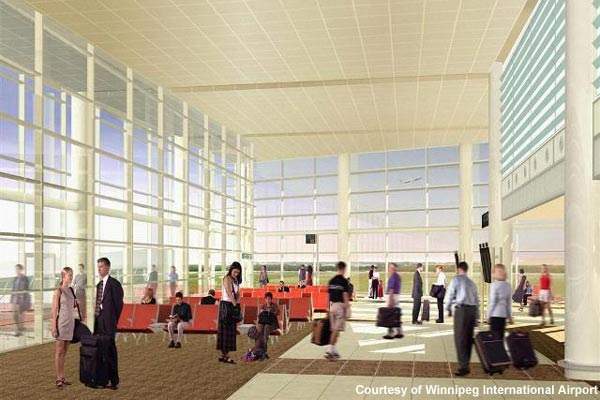 The baggage-claim area at Winnipeg will incorporate common-use equipment. 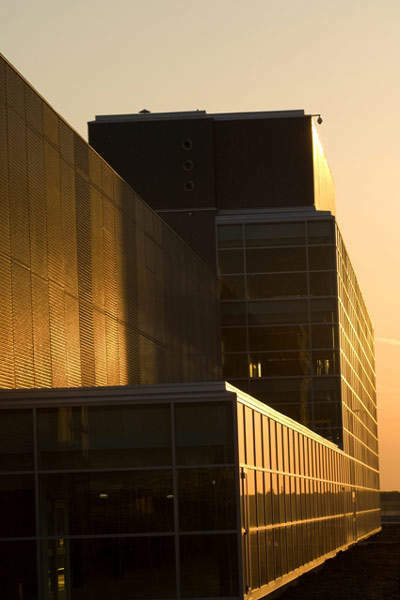 Cambridge Architectural used a special stainless steel mesh in the construction of the Winnipeg Airport parking building. The Winnipeg International Airport car park opened in October 2006 and can accommodate over 1,600 vehicles. Winnipeg James Armstrong Richardson International Airport (renamed in December 2006) is the major airport in Winnipeg, in the Manitoba region of Canada. The airport is well used in the area with a little over 3.36 million passengers in 2010 (4.1 million are expected by 2015 and 4.7 million by 2020) making it the ninth busiest airport in Canada. In the same period of time the airport saw just over 134,531 aircraft movements making it the 12th busiest by operational movements. The airport has three runways, only two of which are operational: 13/31 8,700ft (2,652m) and 18/36 11,000ft (3,353m); the third runway, which is closed, is 07/25 4,600ft (1,402m). James Armstrong Richardson is also one of Canada’s largest cargo airports (third largest) with over 150,000t of air cargo annually (major hub for Purolator and Cargojet). The existing terminal building was constructed in 1964 and being more than 40 years old is reaching the end of its useful life (expanded in 1984). 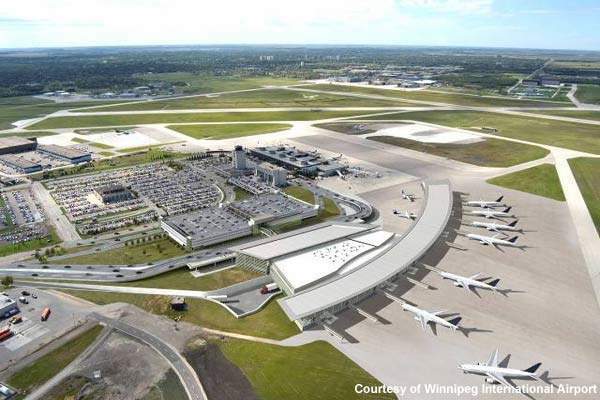 The airport is now undergoing a major expansion project instigated by the Winnipeg Airports Authority (WAA). 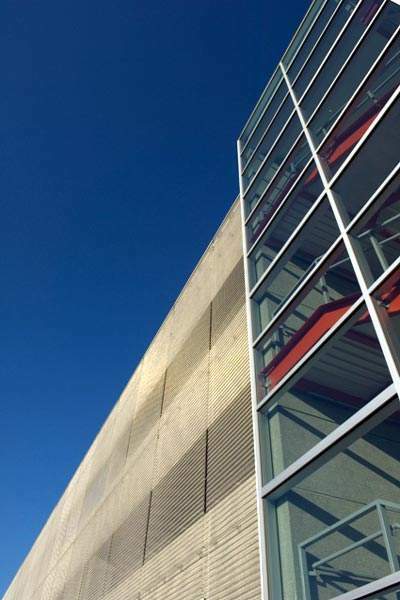 This began in March 2006 with construction of a new four-level parking building (wrapped in stainless steel mesh fabric in Cambridge Architectural’s Scale pattern using Eclipse attachment) that can accommodate over 1,600 vehicles (constructed by PCL Constructors Canada and opened in October 2006 doubling parking spaces). At the same time a new airport access road was constructed. The expansion has continued with the start of construction of a new two-level terminal building (phase one started in spring 2007). The new terminal (designed by César Pelli & Associates) is located just north-east of the existing terminal with facilities to handle more modern aircraft such as the Boeing 787 and also the Airbus A380. The new 51,000m² terminal is expected to be completed in late 2011. The present terminal could then be demolished, or converted into a commercial centre or a new aviation museum. Additional plans are now afoot for an airport hotel adjacent to the terminal, an office building, a new bus terminal and also a new Canada Post depot (on a 27-acre site). There will also be a reconfigured and expanded aircraft parking apron around the new terminal building. The airport development is occurring within the timescale of 2003–2010 and the amount of investment has been estimated at $585m, funded through an airport improvement fee. After 2010 the phase two project aimed towards developing the future airport terminal building will come into action. As part of the airport development, the 13/31 runway rehabilitation project started in May 2011. The $3.16m project is scheduled for completion by the end of June 2011. The terminal building has been designed with several important principles in mind. Firstly there will be abundant use of transparency and natural light with openness to the interior allowing good connectivity for passengers. There will be attention paid to space management with wider corridors and larger lounges as well as more seating. There will be a range of concessions for retail shopping and passenger food and drink requirements. A common-use baggage-handling system and also larger customs facilities will be incorporated. The terminal will also have larger security areas to accommodate any new regulations and to minimise delays at peak times. The programme management support is being provided by Parsons and Wardrop Engineering. The design of the various aspects of the project was provided by several groups including Pelli Clarke Pelli Architects, Stantec Architecture, Marshall Macklin Monaghan, Unison-Maximus, Apple Designs and Earth Tech Canada. Contractors working on the airport expansion project include Man-Shield Construction, PCL Constructors Canada, Nelson River Construction, Mulder Construction, McCain Electric, Otis Elevators and EllisDon Corporation. Financing is being provided by market entities including CIBC World Markets, RBC Capital Markets, TD Securities and Macquarie North America. The contractor for the 13/31 runway rehabilitation project is Maple Leaf Construction.